Can I Get a Second Job in Chapter 13 Bankruptcy? When you filed for Chapter 13 bankruptcy protection, you are required to file out a number of forms known as “schedules” that give the bankruptcy court and the bankruptcy trustee assigned to your case a thorough understanding of your assets and liabilities, property you own, unexpired contracts and leases, your income, and your expenses, among other information. One to two months after you file your bankruptcy petition you will attend a 351 meeting of creditors where the bankruptcy trustee will ask you questions about your schedules. One question that the trustee will typically ask is “has your income changed since you filed bankruptcy?” In most cases, your bankruptcy lawyer will advise you to do your best to be able to honestly answer no to this question as it could delay your bankruptcy case. As part of the Chapter 13 repayment plan, you must devote all your disposable income towards paying back your creditors. Disposable income is any monies left over after paying for priority debt such as child support or taxes, as well as, your approved monthly living expenses. 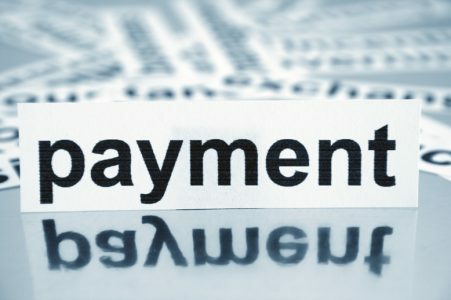 Bankruptcy courts understand that disposable income isn’t a finite number that will remain the same throughout the course of your three to five-year repayment plan. As a result, you are required to report any increase in your income to the bankruptcy trustee. If your income increases, for example, as a result of getting a second job in Chapter 13 bankruptcy, your payment plan will most likely increase. It is important to note that your income when you file determines the minimum length you must make payments which is called the applicable commitment period. The way a Chapter 13 bankruptcy works is not like an installment payment on a secured debt where you can pay off the entire balance of the loan. Instead, you agree to pay all your disposable income for the applicable commitment period. Thus, it’s unlikely that you the bankruptcy court will allow you to pay your plan early and receive a discharge. It is, in fact, much more likely that when you get a second job in Chapter 13 and increase your income, the extra funds will increase your payment to creditors, not shorten the duration of your Chapter 13. Because you are committed to paying all your extra income to creditors during your repayment period in exchange for discharging any nonpriority, unsecured debt at the completion of the commitment period, you should seek the counsel of a Houston bankruptcy attorney before getting a second job in Chapter 13 bankruptcy. Your bankruptcy lawyer will most likely advise against getting a second job in Chapter 13 unless you can pay all your creditors off early or just enjoy working more.